Discussion in 'General Network Security' started by Julio Urquidi, Aug 2, 2018. Other features include network and device vulnerability checks that scan devices for potential risks including open ports, weak passwords and firmware versions, as well as access to Bitdefender Total Security software that is installable on Windows, MacOs, iOS and Android devices. Available now, via firmware upgrade, Netgear Armor powered by Bitdefender’s annual cost is $69.99 after the 90-day trial. 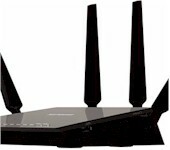 This seems similar to what asus offers in their routers, yet Netgear wants to charge $70 a year for it? cyroxn, Moogle Stiltzkin, scjr and 2 others like this. They are asking you to pay for it in a subscription model (almost unheard of on consumer routers) on top of their default customer data collection on Nighthawk routers. 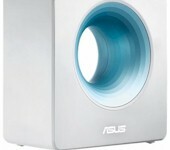 In addition, compared to Asus, it only applies to two models. HowIFix and Makaveli like this. Norton too, are charging for the McAfee on their new router? Grisu and Gar like this. Correct. But you opt-in to optional features like that on the Asus platform, while on Netgear you are the product regardless of whether you pay or not! Might be interesting to see a review of that service (since they offer a 90-days free trial). @thiggins ? We reviewed Bitdefender Box last year. I wouldn't expect Armor to be much different. Another way to mine the money from stupid consumers. Netgear miner. Hey Netgear. Upgrade your GUI before you put this stupid thing. 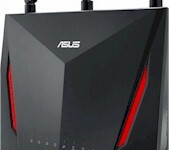 ASUS does same stupid thing but they don't mine the money from the consumers. Why do you think it's stupid? 1. Router side Antivirus bug may effect on all of connected devices. 2. Most of users use own Antivirus for their devices. 3. 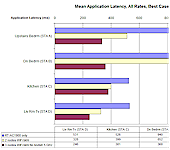 Router side Antivirus may reduce the performance. 4, Router side Antivirus may occur a bug. 5. Router side Antivirus may have vulnerability. 6. Router side Antivirus can't take care of router vulnerability. 7. Router side Antivirus doesn't have detailed options to choose. This one is completely different from dedicated hardware firewall systems. To be honest a lot of those very same things you have posted could affect a computer with AV on board. It may reduce performance because of the hooks it puts in so deeply into the system, it may occur a bug and delete operating system files (has happened more than once believe me) Antivirus products are just as liable to have vulnerabilities on your computer. As to taking care of router vulnerabilities that's what firmware updates are for and doesn't have detailed options, well I don't know because I have not tried one yet. 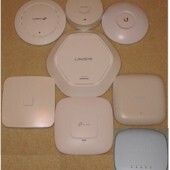 Personally I would prefer all my devices to be protected at the router end rather than having a multitude of separate AV's on my devices. An IPS/IDS is not an antivirus. It protects against a very different types of security risks. Your endpoint antivirus cannot protect your network against DDoS, brute-force network attacks and the likes. And endpoint antivirus/security software CAN get compromised/damaged, at which point they completely stop providing any protection at all. A crashed antivirus that's no longer able to update its signature files - I've seen it happen quite a few times over the years. Or people failing to renew their subscription service. Multi-layered security is a very important element in a modern network infrastructure. Most of your arguments make absolutely zero logical sense. "Router side security software is stupid because it can have vulnerabilities"? It's like saying that door locks are stupid because they can be broken. The reason behind having frontline security in addition to endpoint security is because the two are complementary. Most mobile devices have no security software installed whatsoever. Embedded/IoT devices don't have any either. Having security software on your router can prevent IoT devices from getting compromised, by blocking access to/from compromised sites. In fact, having security software at the router level is currently the only way to protect these devices, which are very popular targets for botnets these days. Which is why security services at the router level are going to become increasingly popular in the coming years, and for very good reasons. Bogie, Killhippie and Makaveli like this. I understand and know what you are talking about. However my opinion is I don't trust this security system. Can this system protect our devices as much as dedicated network security devices such as enterprise firewalls and small office firewall? I don't think so. I don't trust consumer grade router security. That is what I wanted to say. 'zero logical sense'? What if the door locks have been compromised? I saw some hacked Asus routers including some other routers. Those routers were turned on firewall and AiProtection. Chinese attackers were using them as VPN servers. I think Asus Aiprotection and Netgear Amor are just marketing tactics until now. I just don't trust them at all. That's it. What is the difference with Cisco Open DNS / Family Shield? You Asus router users that left SSH open on the Wan side? Those routers were not mine. And no SSH ports were opened. It was vulnerability issue. It doesn't matter SSH ports are opened or not if there is a vulnerability. Give me a link so I can learn more about these vulnerability issues.